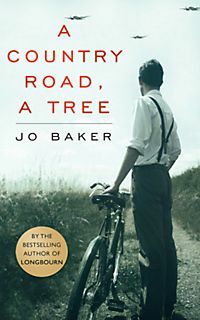 A Country Road, A Tree is Baker’s fictionalized version of Samuel Beckett’s life during the Second World War (though she does not name him in the novel, so you’d be forgiven for missing this). It focuses mainly on his time in France during the Nazi occupation of Paris. We are witness to the privations of the characters and the atmosphere of fear, with people vanishing in the night. Beckett joins the Resistance and flees the city with Suzanne, his lover. It can never be forgotten that he chose to be in France during this difficult time rather than remain in the safety of Ireland, his homeland. It is clear from the start that he finds Ireland claustrophobic and that it inhibits his ability to write. It is also apparent that his mother feels great terror, understandably, of him being in harm’s way. There is a short scene in Spring 1919 where he has climbed a tree that he knows he’d be in trouble for, mostly for having done something dangerous. This feels poignant as the reader knows the bulk of the novel will be set in World War Two, and indeed, he choses to place himself in the midst of the danger. We see Paris in various guises – the vibrant, creative city that it is famous for being, and the austere version of war-torn Paris where deprivation is rife and a sinister imprint of Germany hangs over it. It is, however, where he feels more free, even if his friendship with James Joyce does stifle his creative confidence. There’s also the strain that we see rationing put on his relationship with Suzanne, especially so when he gives away his own meagre rations. He also causes her additional problems in his continued involvement with the Resistance. It’s an interesting relationship that is stretched to its limits as they flee the capital, but always it’s not quite conceivable that they wouldn’t be together. Baker’s attempt to show how the war has shaped Beckett into the author he becomes follows the facts of his life fairly carefully, but does assume some existing knowledge. It has the potential to be a gripping tale but it just didn’t really engage me as much as I would hope.